Miso cod - home cooked food delivered. Melt-in-your-mouth miso cod with stunning flavours straight from the Far East. 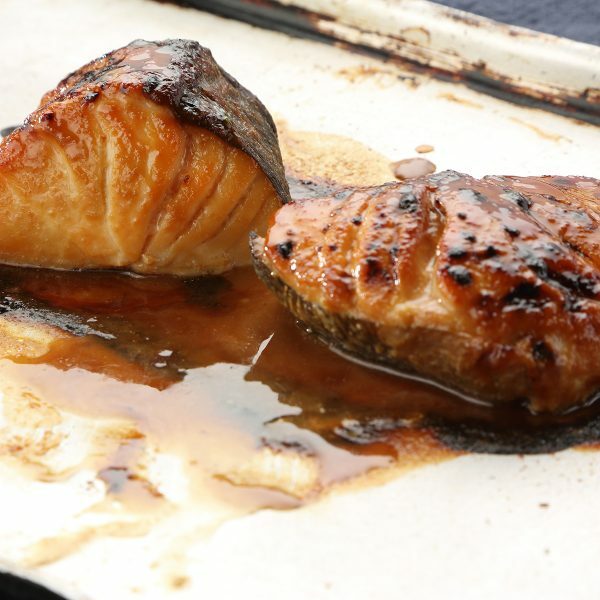 Japanese soy sace, miso paste and mirin combine to make this cod perhaps the most moist and flavourful you’ll ever try. This is a dinner party dish with real “wow” power, but dare you admit you didn’t make it? We won’t tell if you don’t! Sustainable cod (FISH), miso paste (SOYA), mirin, light brown sugar, sake. Place the contents on a baking tray and under a preheated grill set on high for 8-10 mins without turning until slightly charred, then turn over for the a minute or so. This can also be baked in a preheated oven at 190c for 10-12 mins.